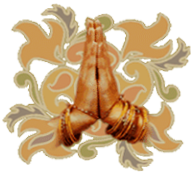 The Yoga and Meditation Tour of India - Trinetra Tours (P) Ltd.
We invite you to visit a different kind of India – A Spiritual India. Here, we attempt to gain an inner elevation through the practice of yoga and meditation under strained guidance. We will baith in the Holy Ganges River and visit ancient sacred temples. Our holidays are ideal for singles, couples or for friends. We also welcome non-yoga partners. Besides, the spirituality, the tour also brings to the visitor a journey through the world’s most celebrated Golden Triangle travel circuit of Delhi, Agra and Jaipur. Traditional welcome with garlands on your arrival, daily breakfast; All vegetarian meals at Ashram; Airport transfers and in-depth sightseeing tours; Yoga, Meditation and Spiritual classes in Rishikesh; Ganga Aarti in Haridwar; Cycle Rickshaw and Elephant ride; Cuisine Walk & A Traditional Rajasthani Meal With An Indian Family; Heritage walk in Agra; shopping for local crafts and wares; a welcome gift; air-conditioned private car and driver available on a 24x7 basis; all entrance fees to the monuments, museums and so much more. Meet and greet upon arrival and transfer to hotel for overnight. Welcome to India, or as we say ‘atithi devo bhava’ (the guest is an incarnation of God). Thank you for giving us the opportunity to serve you! Today, do a full day tour of New Delhi & the back streets of Old Delhi. Early morning, transfer to the train station to board your train to Haridwar Upon arrival, drive to Rishikesh and check in to the Swami Rama Sadhaka Grama. Here, we experience a holistic style of living based on simple Ashram rituals, living and practices. Drive to Haridwar, After rest and relaxation, we explore the unending list of attractions in Haridwar as Har-Ki-Pauri, Daksh Mahadev Temple, Bharat Mata Temple, Maya Devi Temple, Bhimgoda, and Shanti Kunj are the important places to visit. The idea is rto have an overview of the ritualistic aspect to life here rather than have a religious indoctrination. Evening we walk across over the bridge to witness the fascinating Ganga ‘Aarti’. Transfer to the train station with packed snack boxes to board your train to Agra, rest of the day is at leisure for independent activities. Car & driver will be at disposal for your local visits. This morning we visit Amber Fort. Afternoon, we proceed on a tour Of the City Palace & Observatory. We will also visit Hawa Mahal. The Land & Domestic airfare tour cost based on a minimum of 2 guests.